Located in Southern Utah, Bryce Canyon National Park is one of the jewels of the United States. This fascinating site is 145 km² and is known for its beautiful old rocks tens millions years old. 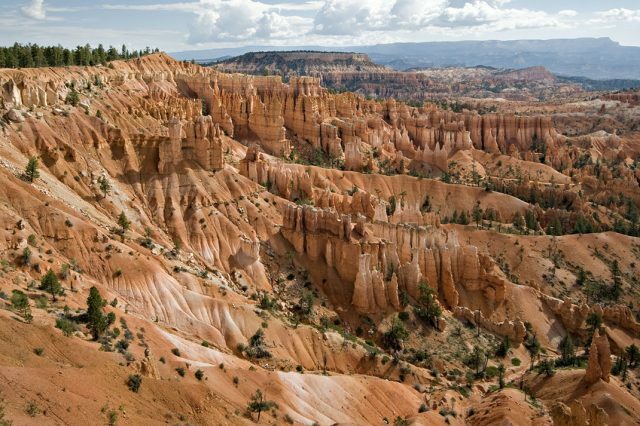 The park consists of huge natural amphitheatres dotted with numerous fireplaces, called hoodoos, produced by erosion. We invite you to discover this extraordinary place. The surroundings of the park were inhabited between the second and twelfth century, then by Paiutes Indians. 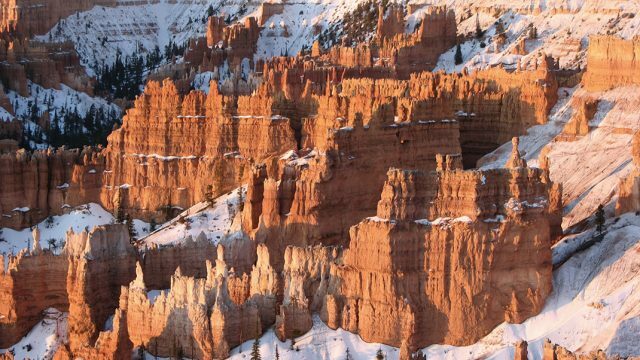 These magnificent fireplaces which shake against each other in the image of a petrified army gave rise to many legends. 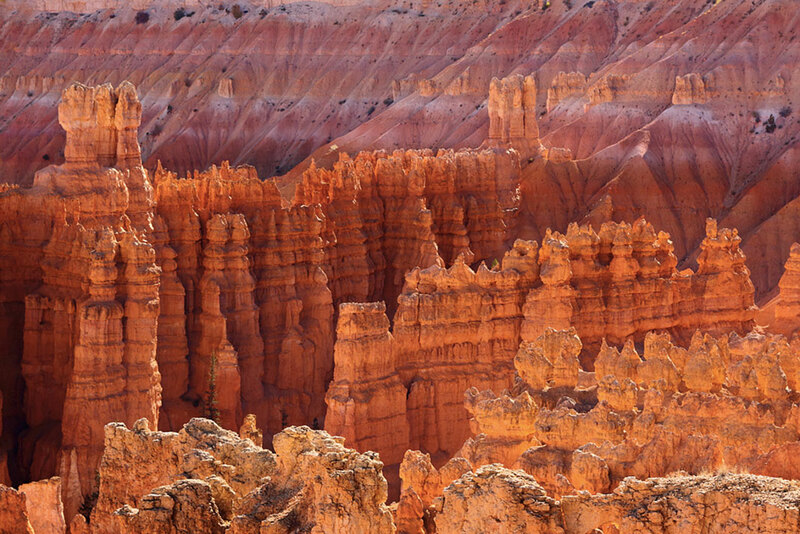 The Paiutes thought these rock formations were people turned into stone by angry gods and called them the hoodoos. 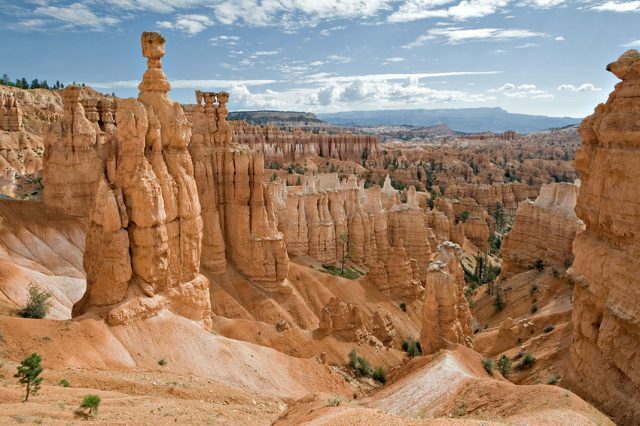 Hoodoos have heights ranging from 1.5 to 45 meters, some of them were baptized with fun names like “The Hammer of Thor”, “The Queen Victoria”, “The Hunter”, “The Indian Princess” or even “ET”. 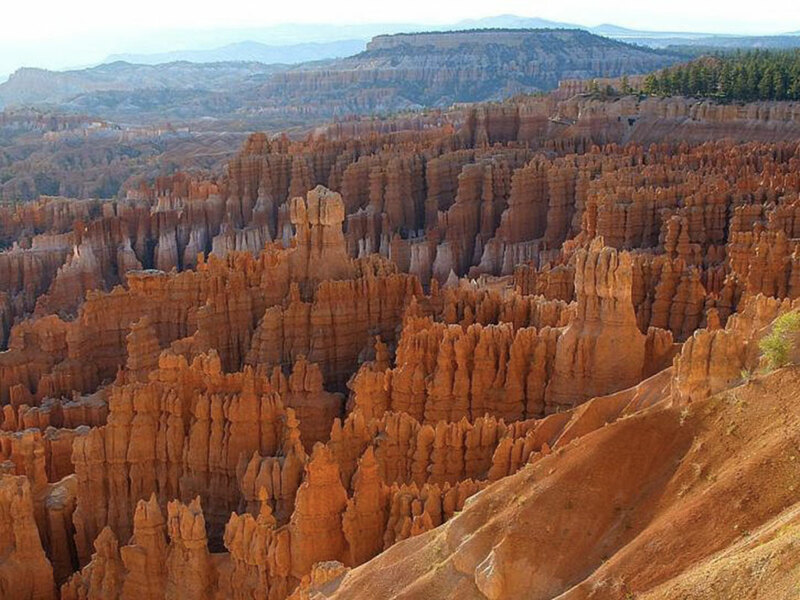 These amazing statues are mainly composed of limestone, but also some sand and clay from deposits accumulated at the bottom of ancient lakes disappeared. Their colorings come from different minerals, so today we can admire these amazing multicolored sculptures. 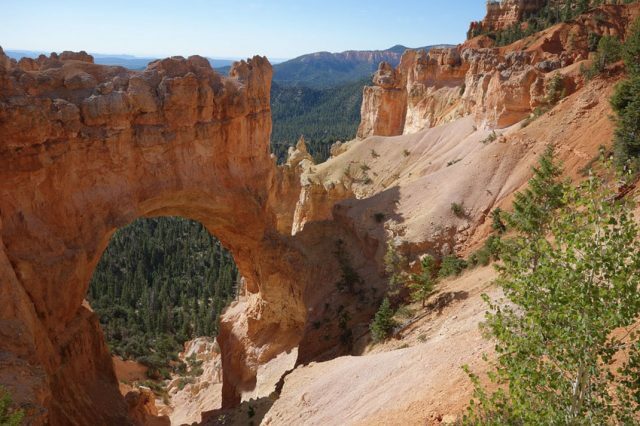 Despite its isolation, Bryce Canyon is very accessible thanks to its American tourist route named Utah State Route 12. Major cities closest to this beautiful park are Las Vegas 350 km to south-west, Salt Lake City 400 km to north and Denver to over 800 km northeast. 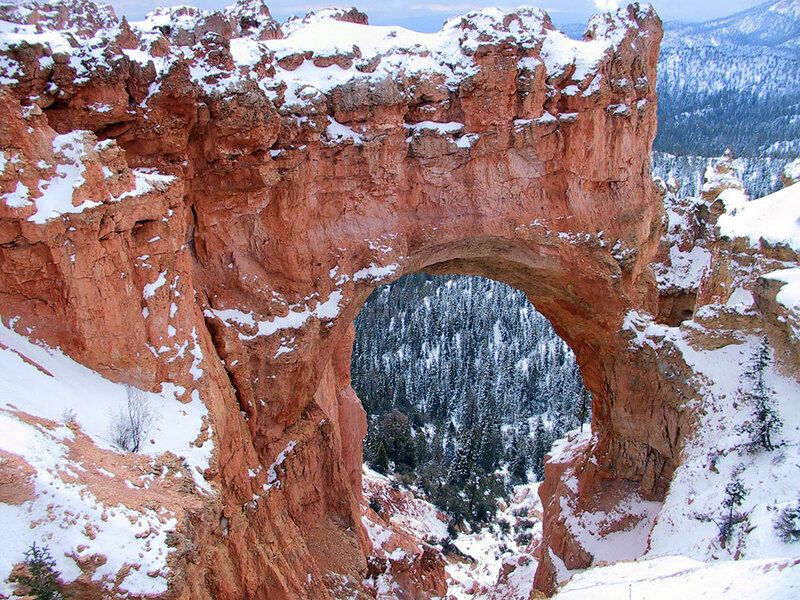 The climate is quite variable and presents fairly cold winters while summers are relatively hot. Frosts can occur throughout the year although these are usually absent from June to September. So, it is very possible to see snow in the month of May. 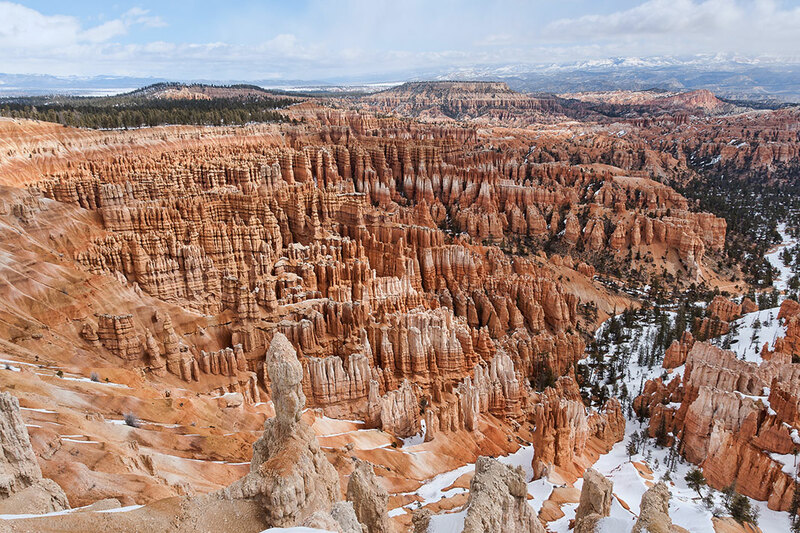 Bryce Canyon rocks are younger than the magnificent Grand Canyon, but these two parks are just as fabulous. 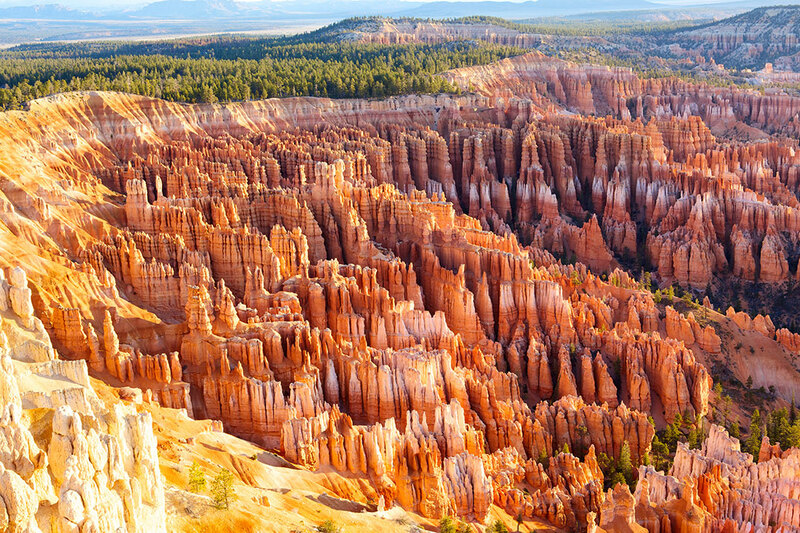 In writing, we would like to fly to the US to explore every corner of this wonderful park!